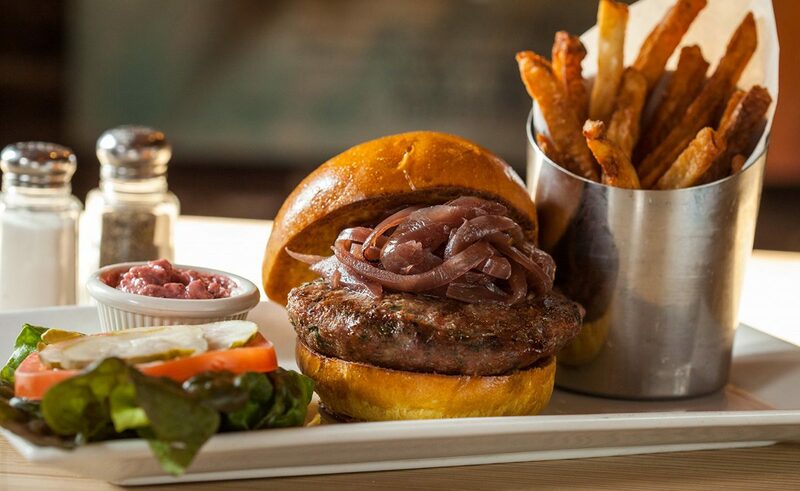 If you’re looking for a quality burger in New York City, you may find yourself overwhelmed. In every neighborhood, there are at least three places that will claim theirs is best in all five boroughs, which can make it pretty hard to choose. That said, you should go to Tavern on Jane. I was meeting a friend for dinner in the West Village and I was tasked with picking our restaurant (my favorite job), and I settled on American food as our cuisine. Yelp offered me a few locations in the neighborhood that would give me a hamburger but most of them were too frilly or expensive, and we just wanted a good, hearty meal. So we went to Tavern on Jane. When I walked in on a Wednesday night, the bar was packed. 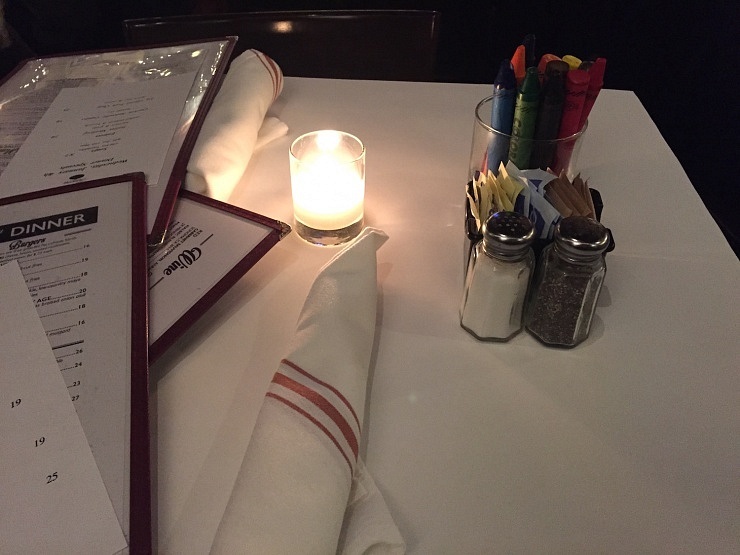 The lights were dim, there was music playing, and it smelled like caramelizing onions and frying potatoes, plus there were crayons on the table. Perfection. A two-top was immediately available and of course, I looked at the drink list first. 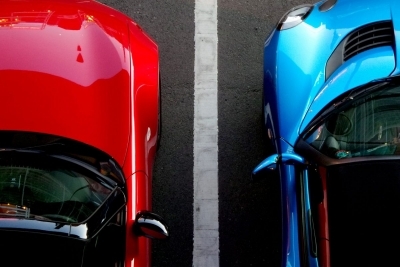 Hello, options! There were about 25 beers between the drafts, imports, and bottles, and the cocktail, wine and whiskey lists were all fairly extensive as well. My friend arrived and although he had just resolved to be a pescatarian, we quickly decided we would get two burgers and split them since we wanted to taste them all but figured that would be a little excessive. 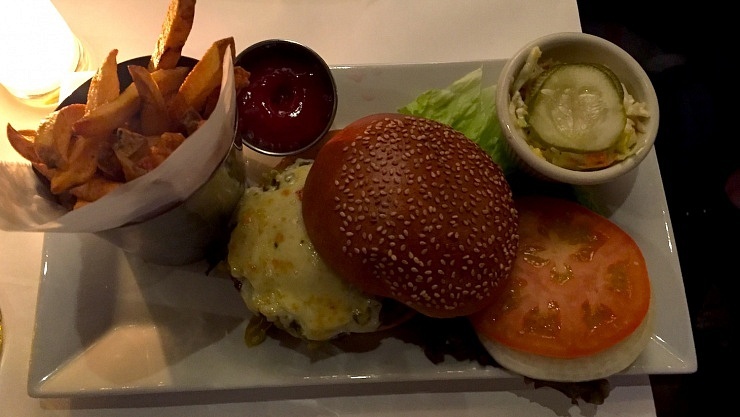 He chose the Santa Fe Burger which came with grilled green chiles, pepperjack cheese, and french fries on the side. All of the meat in this restaurant is from Pat La Freida so I knew it would be high-quality, and it definitely stood up to the reputation. Flavorful and a little smoky, each burger was delicious, although I will say one was a little closer to medium than the other was. In my personal opinion, the fastest way to kill a good burger is with a sad bun, but Tavern on Jane didn’t disappoint. The sesame buns were toasty and warm, and made good homes for the cheese and aioli, respectively, although I could have used a little more aioli on mine (I just can’t say no to Guinness onions.) 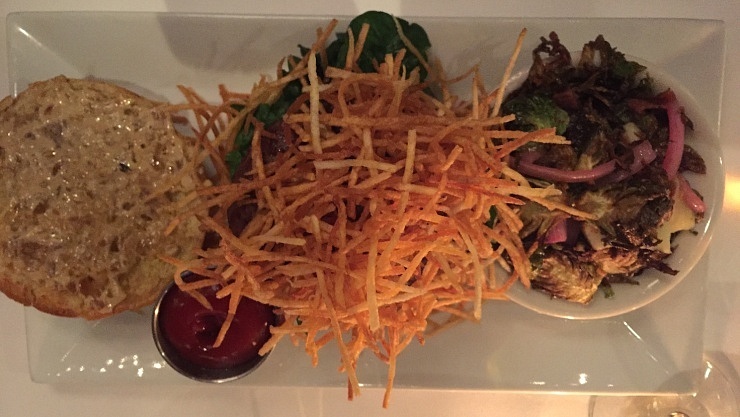 I was personally a huge fan of the heaping piled of shoestring potatoes on the Creekstone burger, as they added an amazing crunchy texture compared to the soft, supple patty. Now, those fried Brussels sprouts. First of all, I’m a big fan of the sprouts. The only way I won’t eat them is steamed but other than that, bring ‘em on. 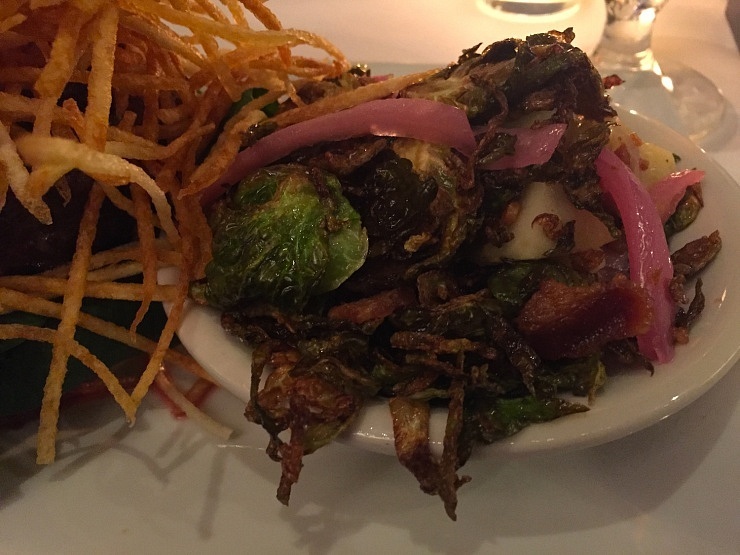 So you can imagine my excitement when they showed up fried, with apples, red onions, and…wait for it….bacon. Like peanut butter and jelly, bacon and Brussels sprouts are a perfect marriage. This little bowl of magic went pretty quickly between the two of us- we couldn’t get enough! My only (slight) complaint would be the lack of salt. The fries were perfectly done, crispy on the outside but soft in the middle, except there was not a drop of salt on them which made me a little bit sad. I don’t think there was any salt in the burger, on any of the toppings, or in the sprouts either, but there was a bottle on the table so I wasn’t completely out of luck. That being said, it’s obvious that their ingredients are fresh and they do a fantastic job of highlighting each to create a well-rounded, super-satisfying burger. Two thumbs up to Tavern on Jane!